Exosomes are a novel way of cell-cell communication and play an important role in tumor development [12–14]. Adipocyte-secreted exosomes have been shown to aggravate atherosclerosis by increasing angiogenesis  and induce insulin resistance in skeletal muscle through repression of PPARγ . 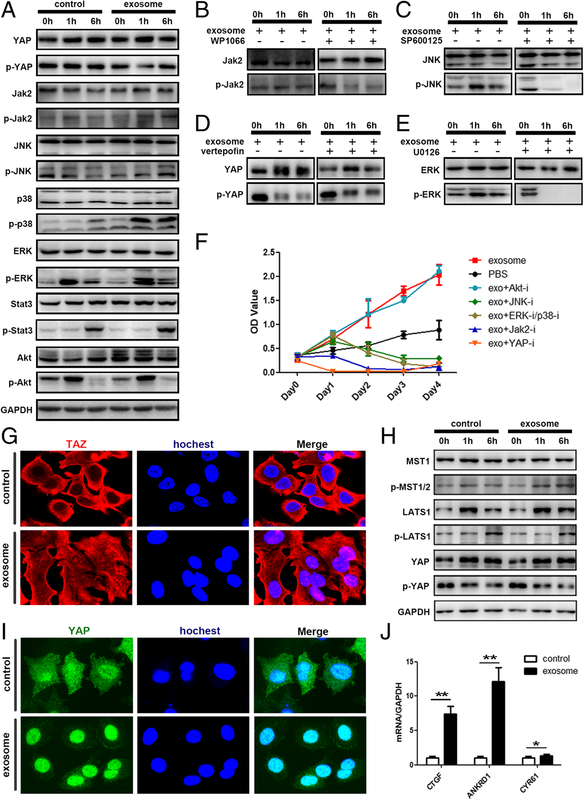 Adipocytes, which are specialized in storing and releasing FFAs, are able to shift tumor metabolism toward the use of FFAs via extracellular vesicles . Currently, most studies use mouse cell line 3T3-L1-differentiated adipocytes as a cellular model. Here, we induced human adipose tissue-derived mesenchymal stromal/stem cells (MSCs) into adipocytes. 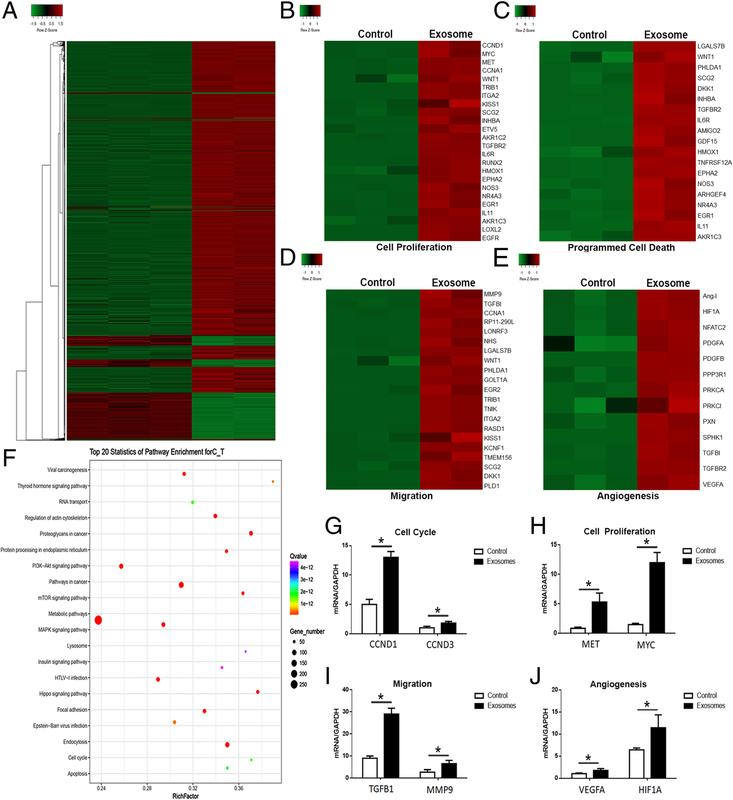 MSCs were defined in 2006 by the International Society of Cellular Therapy (ISCT) as cells with the three properties: (1) be adherent to plastic under standard tissue culture conditions, (2) express certain cell surface markers such as CD73, CD90, and CD105 and lack expression of other markers including CD45, CD34, CD14, or CD11b, CD79alpha, or CD19 and HLA-DR surface molecules, (3) have the capacity to differentiate into osteoblasts, adipocytes, and chondroblasts under in vitro conditions . According to ISCT criteria, the isolated MSCs are a heterogeneous population of cells containing both stem cells and cells with lower multipotential properties . So many experts recommend the use of mesenchymal stromal/stem cells (MSCs) [20–22]. MSCs, especially adipose tissue-derived MSCs, can be differentiated into adipocytes under proper in vitro culture conditions [23, 24]. To our knowledge, only a few studies have reported the effects of adipocyte exosomes on tumor development. Here, utilizing exosomes isolated from in vitro MSC-differentiated adipocytes, we systematically investigated this issue in breast cancer. We found mesenchymal stem cell (MSC)-differentiated adipocyte exosomes could promote breast cancer cell proliferation and migration as well as protect breast cancer cells from serum derivation or chemotherapeutic drug-induced apoptosis in vitro. 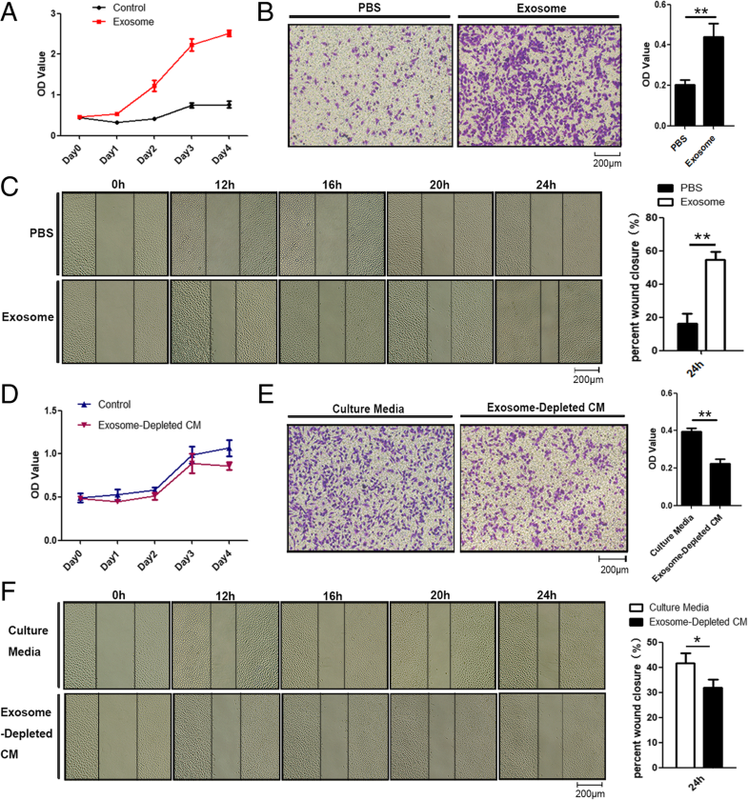 Furthermore, exosomes contribute to in vivo tumor growth in a mouse xenograft model. 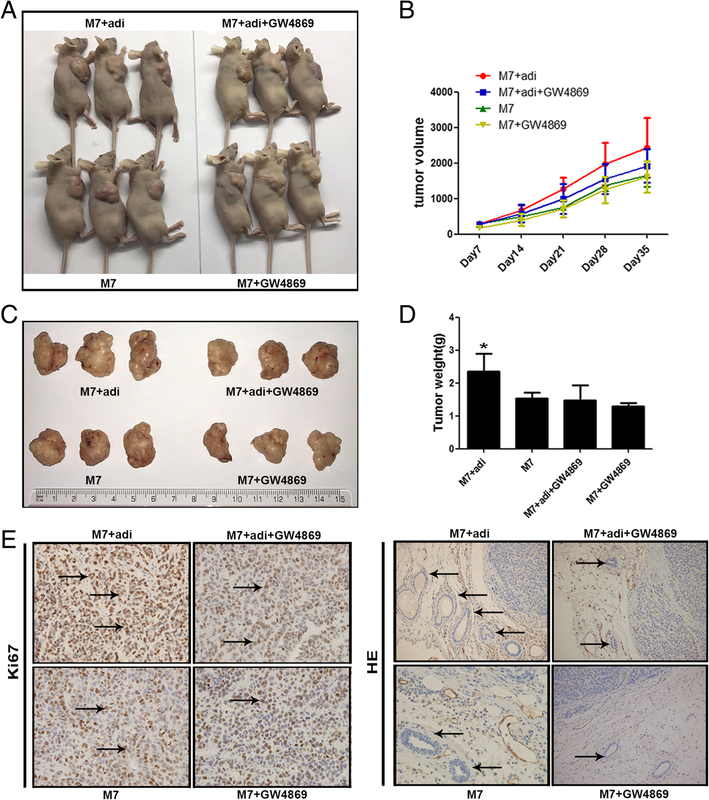 Mechanistically, the Hippo signaling pathway was demonstrated to be partially responsible for the tumor-promoting effects of MSC-differentiated adipocyte exosomes. Taken together, our findings provide new insights into the role of adipocyte exosomes in the tumor microenvironment.